This week I talk about two more of Sega's Atari 2600 games, Thunderground and Star Trek: Strategic Operations Simulator. I found both of them to be fun to play. Next episode will not be out until June 4, I am taking a few weeks off. That will be MagiCard and Video Life by CommaVid. The MagiCard manual is horribly long and complicated, so the extra time will be nice. Upcoming games include Submarine Commander and Video Pinball by Atari; Cross Force and Tape Worm by Spectravision; Word Zapper and Commando Raid by US Games; Asteroids and Berzerk by Atari; and Mousetrap by Coleco and Ladybug by John Champeau. I'm including this homebrew (first one!) because it was slated to be released by Coleco but wasn't, and Champeau later released a great port of the game. So if you have any stories or memories of any of these games, please send them to me at 2600gamebygame@comcast.net. Thank you everyone, have a great Memorial Day if you're in the US and I'll see you in June! 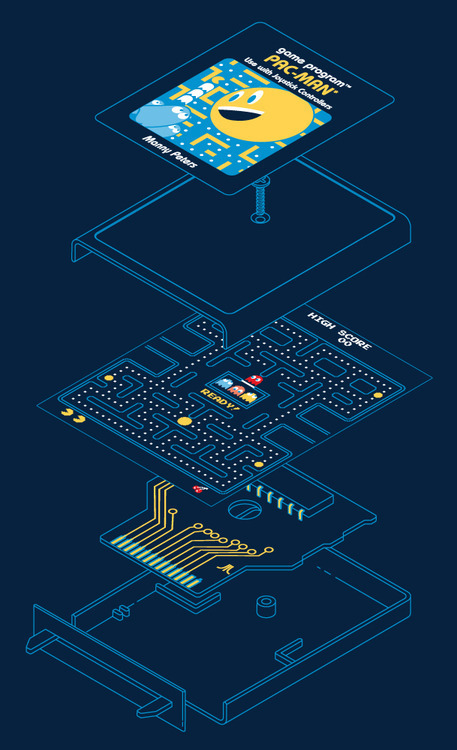 This week is all about Pac-Man by Atari. Got a ton of feedback and audio submissions, so you are in for a treat! Next week I will be looking at Thunderground and Star Trek: Strategic Operations Simulator by Sega. I'll get to CommaVid eventually. Thank you everyone, hope you enjoy the show. Thanks for listening!